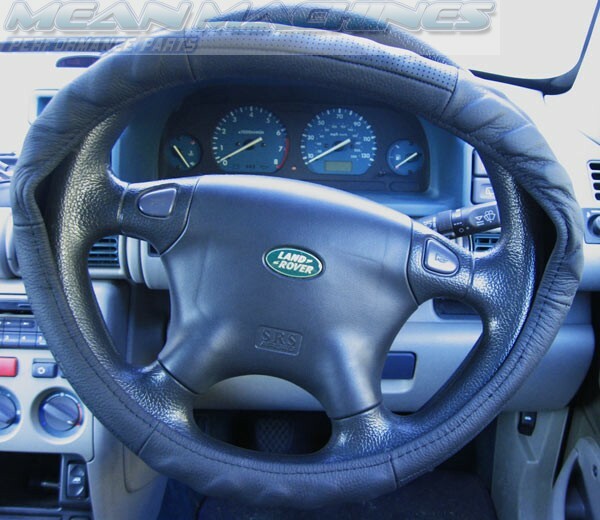 Genuine leather steering wheel cover - the perfect item to upgrade a worn or scuffed steering wheel or simply to achieve that leather steering wheel look with ease. Where other kits require tedious sewing to cover your steering wheel, this snap on cover provides a direct upgrade to your steering wheel. 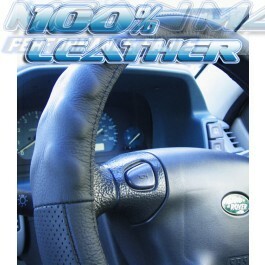 • Quality 100% genuine leather item - perfect to add luxury to any car. • Available in 3 different sizes - please measure the diameter of your steering wheel in order to select the best cover for your vehicle. 1. 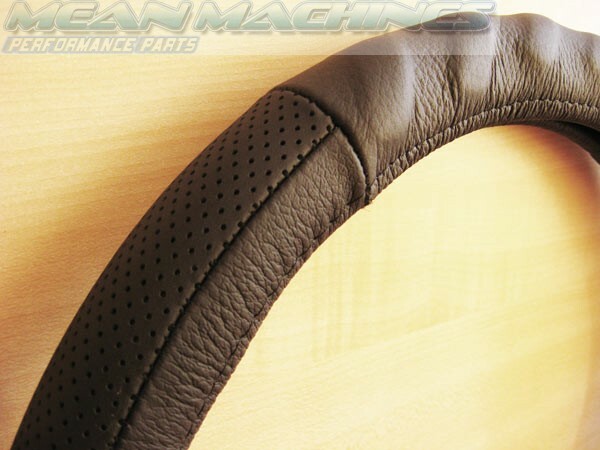 Slide base of leather steering wheel cover onto steering wheel. 2. Slowly work around the wheel, hooking the leather steering wheel cover into place. 3. 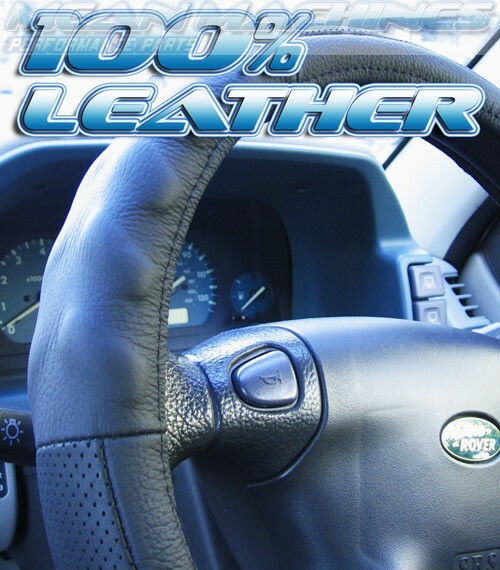 Optionally heat the leather steering wheel cover with a hairdryer in order to soften the leather, making it easier to hook around your steering wheel. Direct fitting, the leather steering wheel cover slides over your steering wheel for a very snug fit in a matter of minutes. 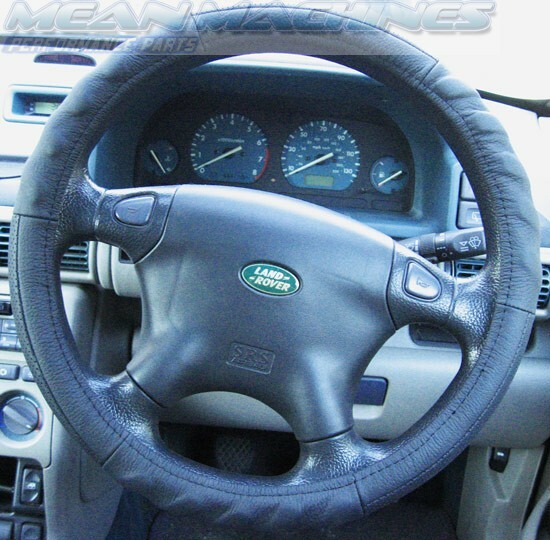 A: Please measure the diameter of your steering wheel and get back to us, so we can suggest the correct item for your P38 Range Rover mk2. Thank you. A: It should indeed fit, yes. Please measure the diameter of your steering wheel and select the appropriate size. In the vast majority of cars, size M is appropriate. 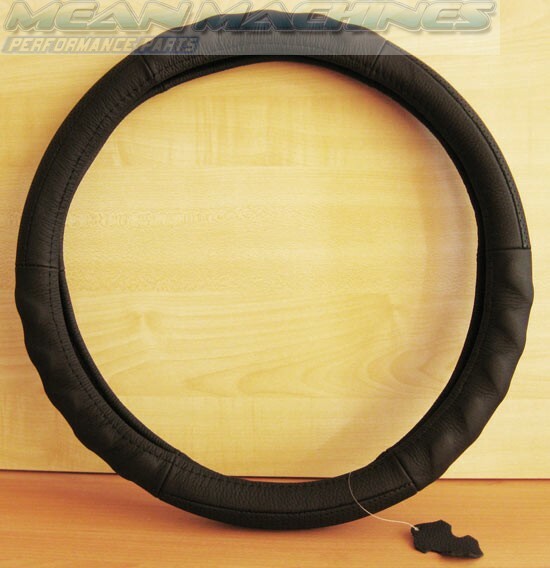 A: We have steering wheel covers available in different sizes here; http://www.meanmachines.biz/store/steering-wheels/accessories/leather-steering-wheel-cover.html Please measure the diameter of your steering wheel and select the most appropriate steering wheel cover for your needs.